Walter Matthau made a movie in 1967 called A Guide For The Married Man. He played Paul Manning, a businessman who one day realizes that his friend and neighbor, Ed (played by Robert Morse), has been repeatedly cheating on his wife. Paul talks to Ed about this and Ed takes it upon himself to “educate” Paul in the art of cheating, without getting caught. Ed has no guilt whatsoever over his affairs. He’s a bad influence on Paul, who pretty soon starts noticing all the pretty women and opportunities around him, including a classy, beautiful woman who works in his office. As the movie progresses, Paul begins to follow Ed’s advice and lays the groundwork for his first extra-marital affair. If you love the old bedroom farce comedies, you’ll want to see this movie. In which case, don’t read the next sentence… Spoiler Alert: at the end, Paul’s conscience keeps him from following through, Ed does get caught by a private detective his wife hired, and Paul rushes home to his loving wife and never thinks of cheating again. I saw this movie on the classic movie channel during a particularly difficult stretch in my marriage. I loved my husband, but all we did was fight. We argued about everything, nothing was too inconsequential. The more we fought, the easier it was to lose our tempers the next time. Each round of arguments came faster until finally, it seemed we couldn’t communicate in any other way. I began to dislike him – strongly – and everything he did grated on my nerves. The way he played with his napkin, the habit he had of leaving the milk out, even the sound of his voice irritated me. I began to wonder what life would be like if I left my marriage. What led to this sorry state in our relationship I don’t remember. I think I didn’t know even then; if you had asked me, I probably would’ve just listed my current grievances. Anger is like that. You forget the trigger and concentrate on the wound. Anyway, this is when I saw Walter Matthau’s movie. In the movie, Paul is advised by Ed to start fights with his wife, thus giving him an excuse to leave the house (wherein he can then go and meet his mistress without his wife suspecting the real reason he’s left home for the evening). So Paul starts to build a pattern of arguing with his wife, over every little thing. Mystified, his wife seeks professional counsel. The counselor tells the wife not to argue. No matter what Paul says or what fight he tries to start, (the counselor advises) don’t do it. That night the wife makes a martini for Paul (my memory is a bit fuzzy in this part, but you’ll get the gist). Paul barks at her that she should know he’d rather have a Manhattan. Instead of arguing, the wife gets her husband a Manhattan. Paul then complains about the Manhattan. The rest of the scene is along the same lines, with Paul trying to argue and his wife responding by being congenial. Paul’s unable to leave that night, and his plans are stymied. I saw this scene and thought it made sense. Hubby and I had a pattern of fighting, and this seemed a way to break that pattern. So I followed the movie’s advice and stopped arguing. If necessary, I would leave the room, go to the bathroom, take a walk… whatever. But I broke the pattern. I’d like to tell you it worked instantaneously, but in truth it took a few weeks of teeth-gritting determination on my part. It did work though. Our habit of fighting gave way to “egg-shell walking”. Which regained us respect for each other. Which then turned to “like”, and finally back to Love. I’m not exaggerating when I say that breaking that pattern turned our marriage from a bitter pill to a blessed union. We had our own love affair. Nowadays, biophysicists tell us that our emotions create chemical pathways in our brain that, when repeated, become bigger and stronger, causing us to re-create and add more triggers that will lead us to those pathways. In other words, we become addicted to our emotions. We find more and more ways to be angry, sad, etc. Whatever our addictive emotion, we seek it out. That certainly explains why Hubby and I couldn’t stop fighting. It also explains why breaking the pattern worked. You have to recognize and intentionally break those destructive neural pathways and replace them with new patterns. God had this figured out a long time ago, when he advised us to recognize our anger, don’t ignore it, but also do not let it control you. Instead, shine His light on the subject, ask for his help, and allow Him to help you break that pattern. I wasn’t a Christian at the time Hubby and I were in our destructive pattern. But God knows us – past, present, and future – and sometimes uses the most unlikely sources to bring His light into our lives and heal our wounds. I’ve told others this story, and marriages were mended for at least two other couples that I know of, all because of that silly little movie. 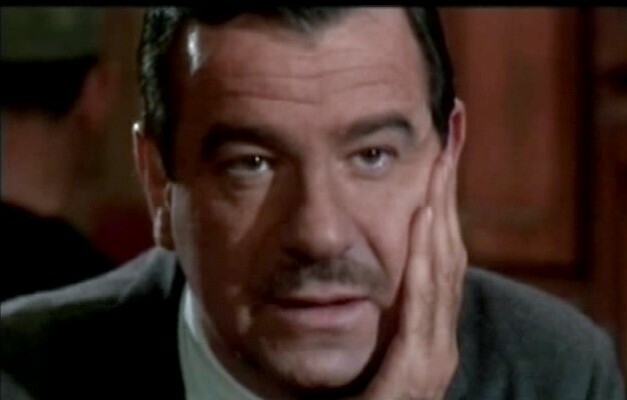 I wonder, is Walter Matthau sitting in heaven right now, himself amazed? I’m not implying that all marriage problems can be fixed by this story. Far from it. Certainly there are some marriages that shouldn’t be. I’m no marriage counselor and I don’t claim to be. But God is. And apparently, so was Walter Matthau. It’s so cool the role that stories and storytelling play in our lives. They don’t call them cautionary tales for nothing! So true! In print, film, electronic form, or generational stories passed down. Thanks for stopping by Deb! The Tax Angel on new site - Scribd. Now Hear This: Drink Up! R Damayanthi on Who Is The Kumquat Thief?